Despite opposition from adjacent neighbors, Edison Chastain LLC was allowed to shift a planned 3-story office building on Bells Ferry Road closer to a residential neighborhood to its north, and move a parking lot from the north side of the building to its southwest side. The change would move the building from approximately 175 feet from the Big Shanty Plantation residential subdivision, to an 84-foot distance. The case was OB-056, heard at last Tuesday’s Board of Commissioners zoning hearing. John Pederson, the manager of Cobb County’s Zoning Division, gave a history of the zoning and site plan for the project. “The property was rezoned to Office Services in 2015 for the purpose of an office and warehouse distribution with two buildings. Building 600 was to be a warehouse distribution building and building 700 was to be an office building. Both buildings together had 205,000 square feet with 265 parking spaces. Other Business item number 14 which was heard May 15, 2018 allowed the applicant to revise the site plan and the stipulations to have one building in the area where building 600 was proposed to be. Building 700 was deleted entirely. Attorney Kevin Moore spoke for the applicant. After showing a projected image of the original site plan, he displayed an image of the proposed revision. “It’s still the same office building, still the same size, 150,000 square feet, still three stories. But now it has been shifted and moved towards this northern property line, as stated by Mr. Pederson. What that has done is remove a large parking field that was located to the rear, moved it around towards the front, and also reoriented the building to open up the center here. It also has resulted in less impact to the flood plain. This property has existing floodplain that kinda goes through the middle of the property here. 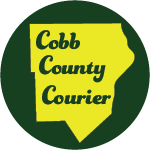 There will be some work done in the floodplain under Cobb County and State of Georgia rules and regulations which allow for that … what we’re trying to do here is mitigate and lessen the impact on floodplain as much as possible,” he said. “This is anticipated to be $40 million project [and] to bring over 500 jobs and employees to this location, or even more, depending on the specifics of the office tenant at the time,” he said. He said the underlying stipulations that were important to the community would remain in place. Diane Shepard, a resident of Chastain Lakes, and board member of the Bells Ferry Civic Association (BFCA), spoke in opposition to the application. “We [the BFCA] represent the citizens of the Bells Ferry corridor who are often poorly informed regarding upcoming zoning cases. It seems that the corporation who will own the building … was also poorly informed. The site plan for this building was approved under OB-14. But the corporation, TPA, discovered belatedly, that their building was going to be in a floodplain. The floodplain lines on their site plan are there, but they are easy to miss … Nearly 50 percent of this site is in a high-risk floodplain, and that’s FEMA saying it’s high risk,” she said. She said Mike Williams, a resident and community leader in Big Shanty Plantation, who had spoken out against the project in earlier hearings could not be at the meeting due to surgery. “Please, please, take your own advice,” she said. “This will not just be adjacent, it will be on top of residential neighbors. David Breaden, the county’s senior stormwater review engineer, was called to the podium to talk about the staff’s analysis of the stormwater management under the proposed change. He said that the building would be elevated above the floodplain, using material from the site, and that there would be no change in the flood plain from the earlier plan. In response to a question from District 1 Commissioner Bob Weatherford, Breaden said that stormwater management would be made no worse by the proposed change. District 3 Commissioner JoAnn Birrell, whose district includes the site, made a motion to approve the request with the previous stipulations not in conflict to stay in effect and a stipulation that an R-20 residential strip adjacent to the north edge of the property remain undisturbed. The motion passed 4-1 with Boyce opposed. After the hearing the BFCA’s Shepard told the Courier that she was disappointed in the outcome. 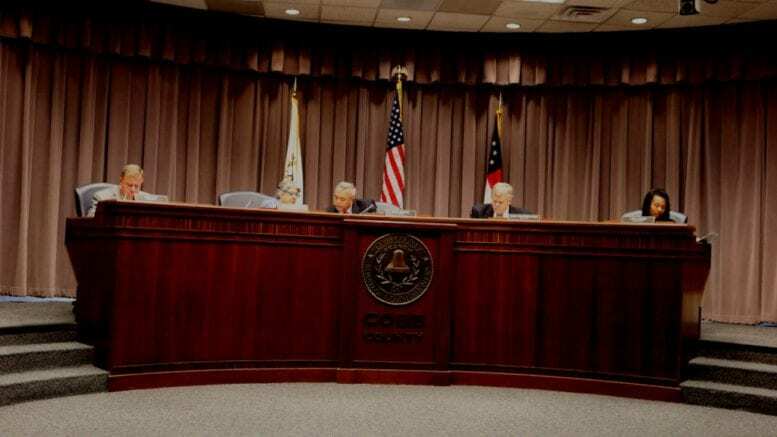 Be the first to comment on "Cobb BOC approves change in site plan of office park on Bells Ferry"